The Lancaster workshop on Changing Climates and the Media took place last Monday (21st Sep 2015). This was a joint event organised by the ESRC Centre for Corpus Approaches to Social Science (CASS) and the Department of Sociology, Lancaster University. The workshop brought together leading academics from a wide range of disciplines – sociology, media studies, political and environmental sciences, psychology, and linguistics – as well as community experts from the Environment Agency and the Green Alliance. The result was a lively debate on the interaction between the news media and the British society, and a critical reflection on people’s perception of the problem and effective ways to communicate the issue and promote changes in behaviour and practices. Professor John Urry from Lancaster University opened the event with a brief overview of the major challenges posed by climate change. He also introduced the CASS project on Changing Climates, a corpus-based research on how climate change issues have been debated in the British and Brazilian news media in the past decade. This contrastive analysis is interesting for various reasons. These include striking differences related to public perception of the problem. While climate-change scepticism is prominent within the public debate in Britain, Brazil is a leading country in terms of concern about climate change, with nine-in-ten Brazilians considering global warming a very serious problem. Dr Carmen Dayrell presented some examples of fundamental differences between the media debate in these two countries. Unlike the British press, Brazilian newspapers articulate the discourse along the same lines as those advocated by the IPCC. This includes stressing the position of developed and developing nations and the projected consequences of the impact of climate change on the Earth’s system, such as the melting of polar icefields, loss of biodiversity and increased frequency of extreme weather events. The Changing Climates project is currently being extended to Germany and Italy. Dr Marcus Müller from the Technische Universität Darmstadt discussed his preliminary findings on how the German news media has represented climate change issues. Dr M. Cristina Caimotto and Dr Osman Arrobbio from the University of Turin presented their initial observations of the Italian context and data. The Changing Climates presentation concluded with insightful comments by Dr Glenn Watts, the Environment Agency’s research lead on climate change and resource use and Lancaster’s primary partner in the Changing Climates project. The afternoon session explored climate change from various perspectives. It started with Professor Reiner Grundmann from University of Nottingham who presented corpus research on the media coverage of climate change across Britain, Germany, France and the US. Dr James Painter from the University of Oxford and Dr Neil Gavin from the University of Liverpool focused on the coverage of the UN IPCC reports in the news media and television respectively. The focus then turned to the British parliament and the 2009 debate on the Climate Change Bill. How do politicians talk about climate change in public? This question was addressed by Rebecca Willis, a PhD candidate at Lancaster University and a member of the Green Alliance. Following that, Dr Neil Simcock, also from Lancaster University, explored the representations of ‘essential’ energy use in the UK media. The session concluded with Professor Alison Anderson from Plymouth University’s talk on the role of local news media in communicating climate change issues. 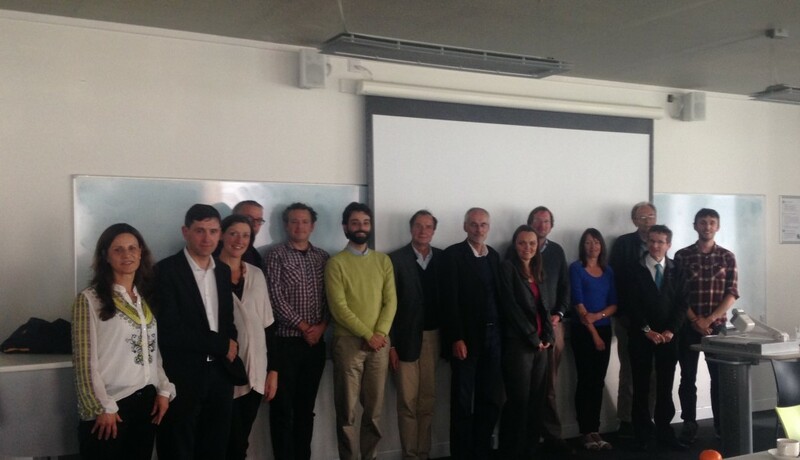 Our sincere thanks to all participants of the Lancaster workshop for making it a unique and very special event. This was an excellent opportunity to exchange ideas and share experiences which we hope will foster enhanced collaboration between the various disciplines. This entry was posted in Blogs, News and tagged brazil, britain, change, changing climates, climate, environment, environment agency, green alliance, media, press, workshop by Carmen Dayrell. Bookmark the permalink.